Working under Tom Kilburn at England’s Manchester University, Richard Grimsdale and Douglas Webb demonstrate a prototype transistorized computer, the "Manchester TC", on November 16, 1953. The 48-bit machine used 92 point-contact transistors and 550 diodes. During three years of production, IBM sells 19 701s to research laboratories, aircraft companies, and the federal government. Also known inside IBM as the “Defense Calculator," the 701 rented for $15,000 a month. Programmer Arthur Samuels used the 701 to write the first computer program designed to play checkers. The 701 introduction also marked the beginning of IBM’s entry into the large-scale computer market, a market it came to dominate in later decades. 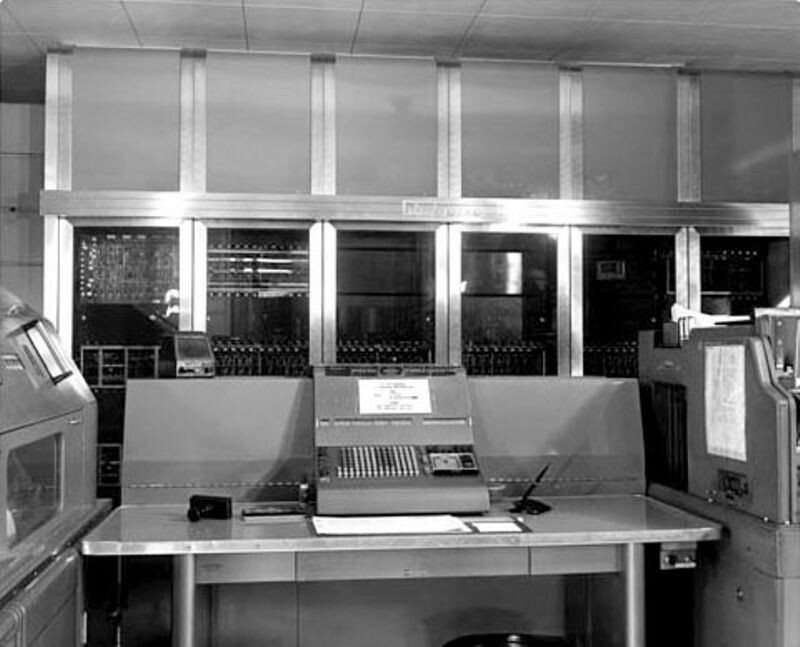 John Backus completes Speedcode for IBM´s first large-scale scientific computer, the IBM 701. Although using Speedcode demanded a significant amount of scarce memory, it greatly reduced the time required to write a program. 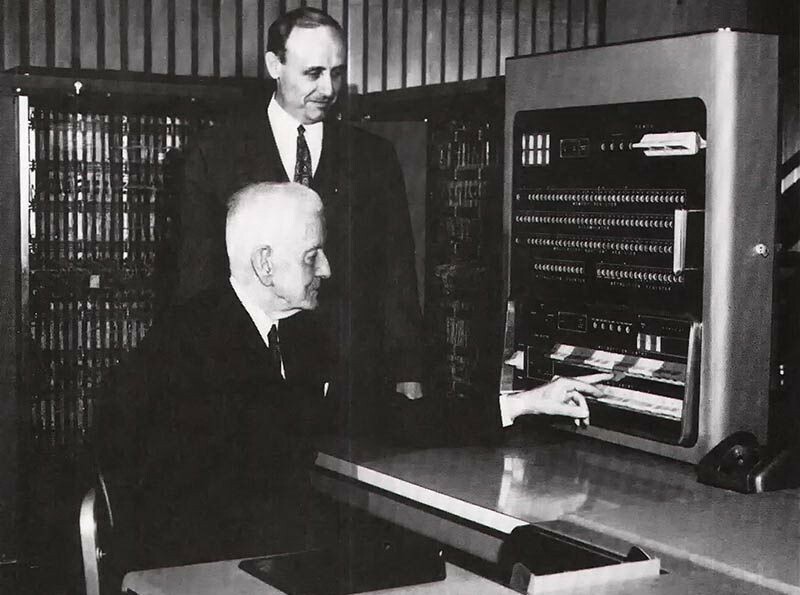 In 1957, Backus became project leader of the IBM FORTRAN project, which became the most popular scientific programming language in history and is still in use today. The Johnniac computer is one of 17 computers that followed the basic design of Princeton's Institute of Advanced Study (IAS) computer. It was named after John von Neumann, a world famous mathematician and computer pioneer of the day. Johnniac was used for scientific and engineering calculations. It was also repeatedly expanded and improved throughout its 13-year lifespan. Many innovative programs were created for Johnniac, including the time-sharing system JOSS that allowed many users to simultaneously access the machine. 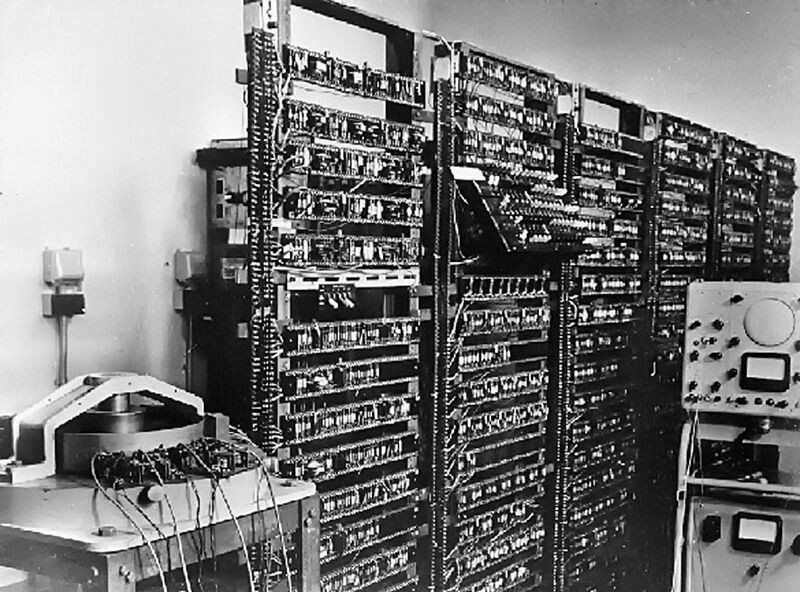 In 1953, MIT’s Whirlwind becomes the first computer to use magnetic core memory. 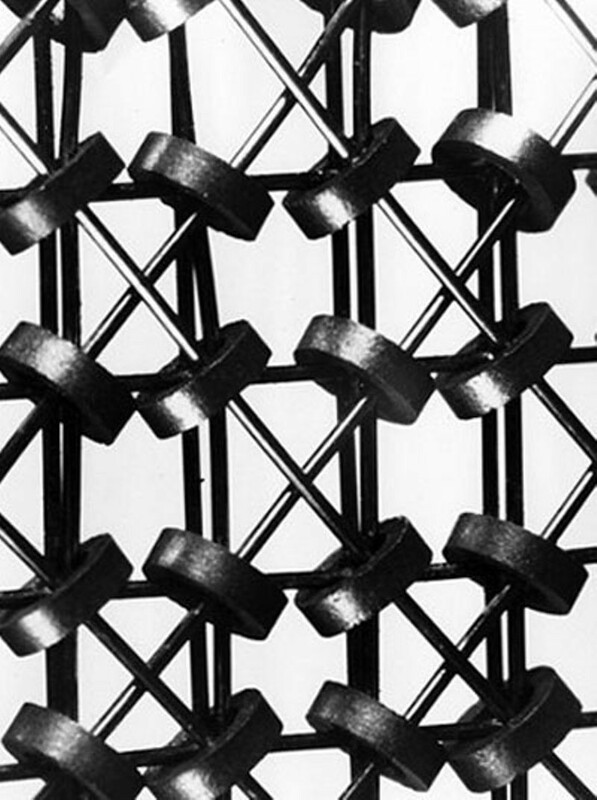 Core memory is made up of tiny “donuts” made of magnetic material strung on wires into a grid. Each core stored a bit, magnetized one way for a “zero,” and the other way for a “one.” The wires could both detect and change the state of a bit. Though several inventors were involved, it was MIT’s Jay Forrester who perfected the technology. In 1971, the introduction of the Intel 1103 DRAM integrated circuit signaled the beginning of the end for magnetic core memory in computers.